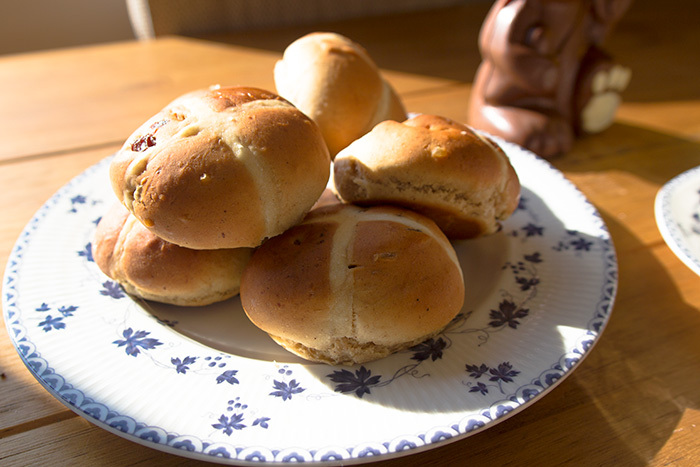 Classic Hot Cross Buns. 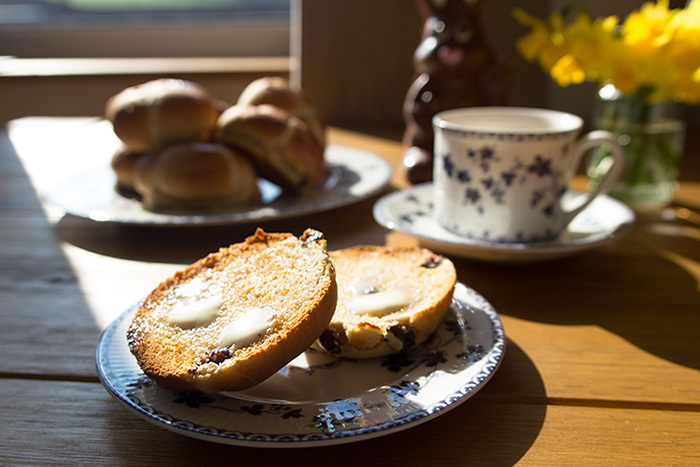 A sweet spiced bun with dried fruit - a perfect addition to a cup of tea, toasted and covered in butter! I made mine on Easter Sunday – does that still count?! ha ha. 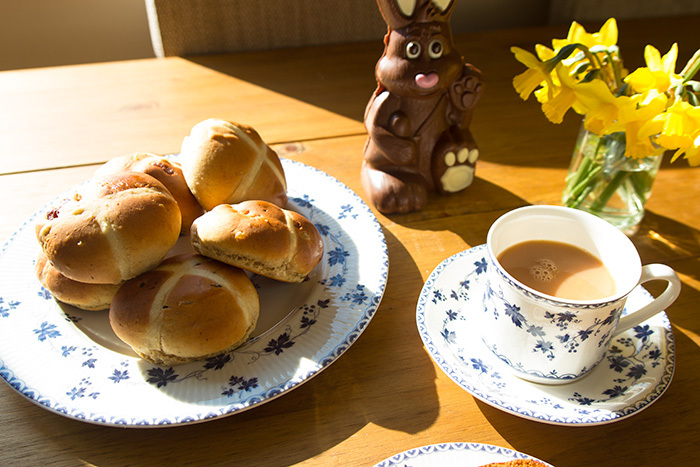 I have never made hot cross buns before so as I had Easter Sunday to myself I decided to whip up a quick batch. 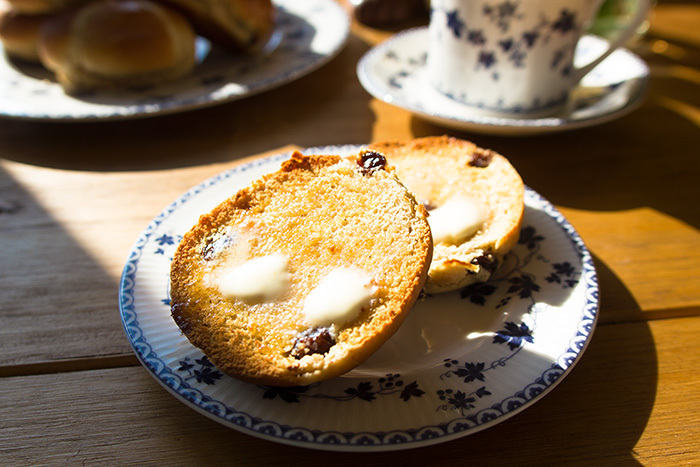 They are quite easy to make really and taste a lot better than the shop bought ones. There are lots of various recipes out there, but I decided to go with Jamie Oliver. 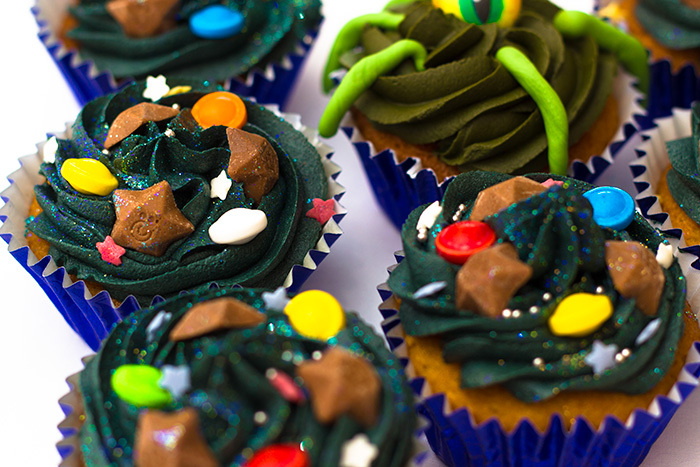 I have followed quite a few of his recipes and find they always come out well and these didn’t disappoint. Before starting I soaked my dried fruit in hot water for 30 minutes to make them swell and keep my buns moist. Meanwhile, mix the plain flour and 2 tbsp water together to make a thick paste. 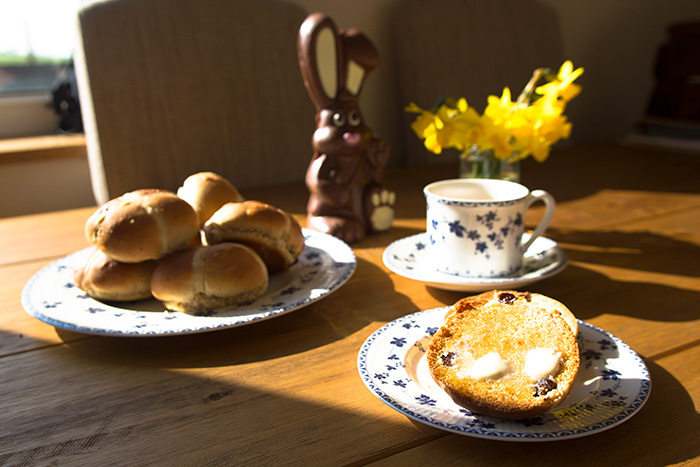 I love the smell that fills your house when baking hot cross buns – it’s so comforting! I don’t think I let my buns prove for long enough – they didn’t quite double in size as I don’t think where I left them was warm enough. This meant they weren’t quite as light and fluffy as I had wanted, but still lovely. Kieron just had a couple toasted for his breakfast – he has instructed me not to give the rest away so we are going to freeze them. 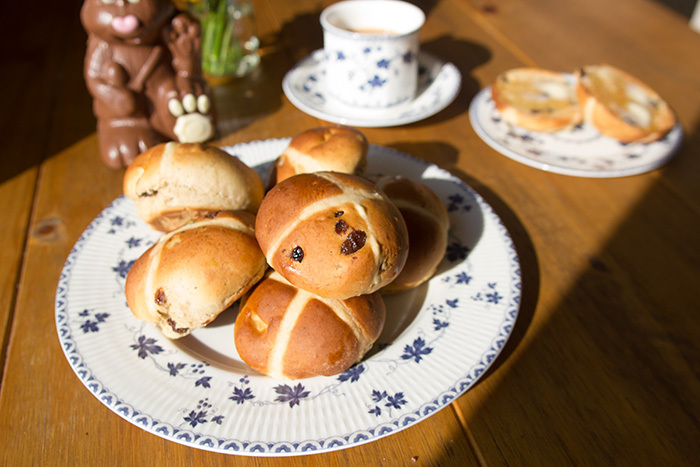 Here are some tips from Jamie as to how to make the perfect hot cross bun!